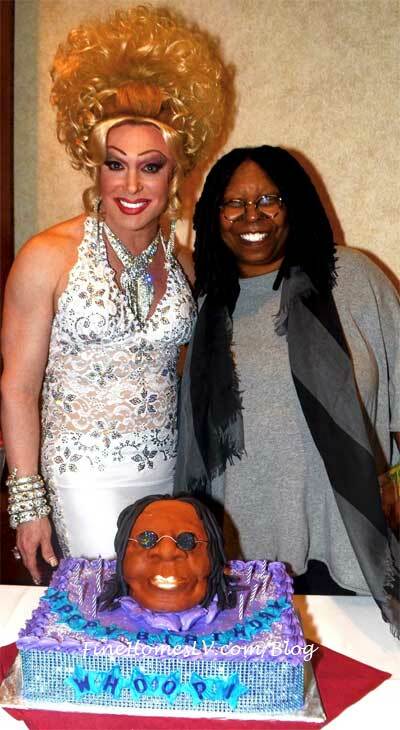 Whoopi Goldberg along with friends and family, celebrated her 58th birthday with Frank Marino and his cast of Divas at The Quad Resort & Casino Las Vegas on Thursday, November 14, 2013. Comedian Whoopi Goldberg celebrates her 55th birthday alongside her granddaughter Amarah, who is also celebrating her milestone 21st birthday at TAO Las Vegas on Saturday, November 13, 2010. They started the evening in TAO Bistro and then partied the evening with family in TAO Nightclub.